You and your main squeeze have decided it’s time to take your relationship to the next level: moving in together. Your dog, on the other hand, doesn’t know what’s coming. 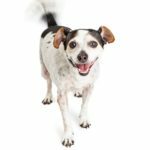 While the new living situation may be exciting and romantic for you, it can be a significant change for your beloved pup. 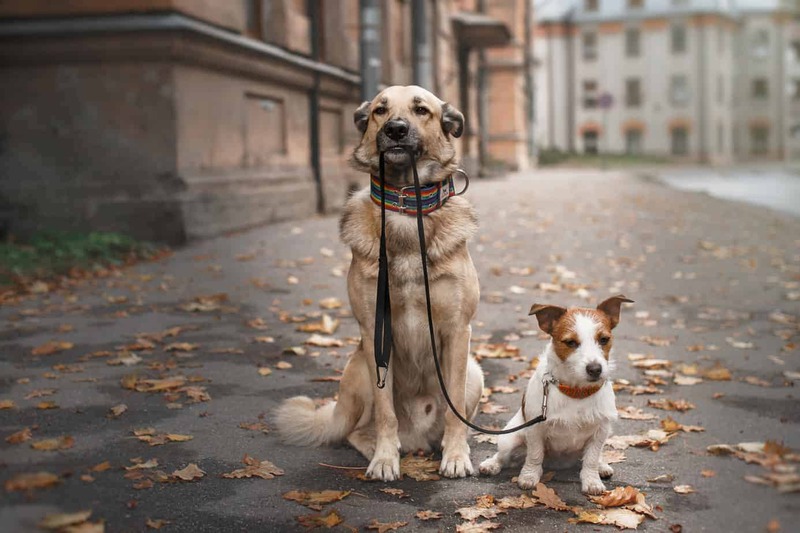 Here are a few tips to help your dog adapt to happily cohabitating with his new roomie. 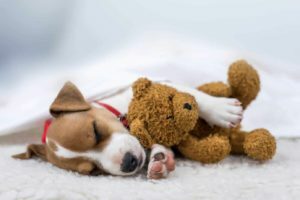 While you, the dog owner, may feel like your pet is part of the family, your partner may not have the same emotional connection. This can lead to different expectations, which can put a wedge in your relationship. Before moving day, it’s essential to communicate about pet responsibilities. Decide who is going to be the pet’s primary caregiver or if you’re going to split duties and cost. Discuss where the dog is and is not allowed, like near the kitchen table or in the bedroom. Even if you decide that you’ll split responsibilities, you may want to do more for the few weeks following the move. 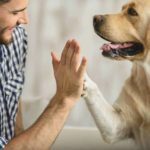 If your partner has never had a pet before, they may not realize how much is required, and you don’t want to overwhelm him or her with everything that goes into being a pet parent. When you move in with your partner, you’re doing more than merging two sets of furniture; you’re also blending your routines, habits, and preferences. Compromise is an integral part of moving in together. Your dog may have to make some compromises, too. For example, you may not be sensitive to dog hair, but if your partner starts to sniffle when your dog sheds, you’ll want to keep your pooch off the couch and bed. A dog that’s used to having the run of the house will have to be trained to stay off the furniture — and you and your partner will have to find more efficient ways to clean up dog hair. Does your dog get nervous in the car or is he prone to motion sickness? Make an appointment with your vet ahead of time to get any medicine you may need. If you’re not used to driving with your pet, take him on a few car rides to see how he reacts. Signs that mean your dog isn’t a happy passenger including abnormal drooling, crying, pacing or whimpering. 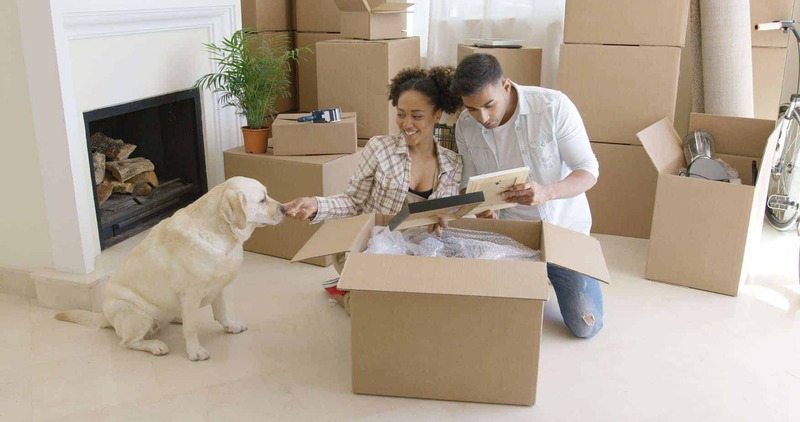 You’ll also need to determine the safest way to transport your pet during your move. A small carrier will be fine for a little dog, but larger dogs will be more comfortable with just a harness that attaches to the seatbelt. If you have a huge dog, it’s best if you can transport them in a crate. Whatever type of carrier you choose, your dog should be able to stand up and turn around easily. 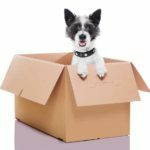 Your dog may be out of sorts as he tries to get used to his new home. Use the same bedding, toys, and bowls you used in your previous home — familiar items will be a comfort to your dog. Try to keep as much of his normal routine as possible, too. Feed him at the same time each day, take him for walks when you usually do and give him just as much attention as you did before. Also, if your dog has a microchip, update your contact details with your new address. If your partner has never had a dog before, it may be news that there are a lot of things to do with a dog. You don’t want to neglect your pup or your significant other, so find ways for everyone to spend time together. See if there’s a pet-friendly bar, café or restaurant in your new neighborhood. Head out for a hike through the woods or a stroll along the beach. Seek out local parks and go on a picnic. You can even take a vacation with your dog by searching for a hotel that allows pets. Is your dog struggling with the change? Don’t force your pet to get comfortable with the new setup before he’s ready. By pushing your pet too soon, he could get agitated, stressed and uncomfortable. An upset dog is an unpredictable one, and the situation could result in a dog bite injury. Also, it’s healthy to accept the fact that your dog and your significant other may never fall in love with one another. On the other hand, your pet could end up loving your partner more than you expect, which could cause a bit of jealousy. Both scenarios are normal. When it comes to living with your partner and your dogs, everyone should have the time necessary to adjust. Even if you all love one another, some growing pains are normal.